Applications are invited from qualified Tanzanians from the Public Sector to apply for Short and Long Courses tenable in China for the year 2018. The lists of training courses are available at: www.utumishi.go.tz (attached with this advertisement). The entire costs of these training courses which include the return international airfare, tuition fees, accommodation during the entire period of training will be borne by the Government of the People’s Republic of China.  Be in good health. Applicants are required to fill in the application forms, which include:- Application Form, Foreigner Physical Examination Form, and VISA Application Form, all are available at: www.utumishi.go.tz. The applicants should submit to our office one set of completed application forms along with academic certificates, CV, a copy of passport and a formal letter of introduction from their employer. The deadline for submission is 18th May, 2018. 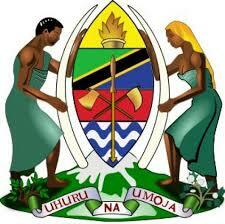 The list of training courses is available at www.utumishi.go.tz. NB: For more information on eligibility criteria and application forms of specific course program, kindly access the LIST OF GUIDANCE (attached with this announcement) which consist application procedures for each Training Program. 11404 DAR ES SALAAM. Att: Ground Floor, Room No. 17. The deadline for submission is 28th April, 2018. NB: Please, we also remind all applicants to have ample time for processing State House Clearance which need not less than two weeks for an approval.